DB21085I Instance "DB2" uses "32" bits and DB2 code release "SQL09010" with level identifier "01010107". Information tokens are "DB2 v9.1.0.189", "n060119", "", and Fix Pack "0". Product is installed at "c:SQLLIB" with DB2 Copy Name "db2build". Verify that you can access the DB2 command line processor (CLP). Right-click the My Computer icon on the desktop and select Properties. Under the Advanced tab, click the Environment Variables button and click the PATH system variable. Add the directory in which DB2 is installed to the end of the PATH variable value. Click OK three times to exit the dialogs. In addition, you may want to create a second user, such as "sqdrusr", that can be used by the SQDR client software to connect to DB2. 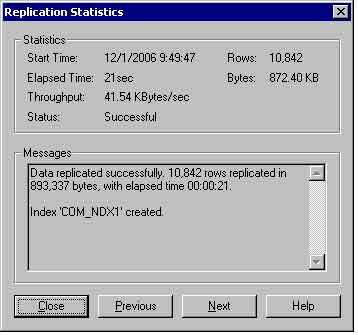 This user needs only the authority to connect to the database and issue SELECT statements against the tables to be replicated by SQDR. Ensure that the DB2 UDB computer where you will install SQDR Plus has a Java Virtual Machine (JVM) v1.4, 1.5 or 1.6 installed and specified in the system PATH. The latest version of JVM 1.6 is recommended. JVM 1.7 is not supported. If you are using a 64-bit version of Windows, install the 32-bit JVM. Type java -version at a command prompt to display the active java version. If the server computer supports both 32-bit and 64-bit instances use the JDK_64_PATH configuration parameter instead of the JDK_PATH parameter. The JDK_64_PATH parameter specifies the directory under which the 64-bit version of the JDK is installed. Review the CLASSPATH environment variable to ensure it specifies the path to the following files: db2java.zip, db2jcc.jar, and db2jcc_license_cu.jar. Under the Advanced tab, click the Environment Variables button and click the CLASSPATH system variable. Review the CLASSPATH system variable value and, if needed, add the directory to the db2java.zip, db2jcc.jar, and db2jcc_license_cu.jar files. These files are typically located in the directory \Program Files\IBM\SQLLIB\java. After making any needed modifications, click OK three times to exit the dialogs. DB2 Administrator: Download StarAdmin using the download link from step 2 and install the software on the SQDR platform. DB2 Administrator: Using StarAdmin, bind packages to the database. This requires knowledge of the database host and sufficient user privilege. Provide database connectivity information to the Client-Platform Administrator to be used in step 7c. Create ODBC DBMS Data Sources for the destination database. Create ODBC DBMS Data Sources for the source databases. After submitting a request to download SQDR Plus for DB2 UDB, you will receive an e-mail containing a Registration Key and download links for the SQDR Plus, StarAdmin, and SQDR software. The registration key will be used in step 7b to obtain temporary license keys valid for 15 days and the download links will be used in steps 3-9 below. Log on to the DB2 UDB host computer with a user that has Administrative rights. The SQDR Plus installation will prompt for the host IP and port number on which DB2 listens for remote connections. The default values for the DB2 host IP and port are 127.0.0.1 (localhost) and 50000. If you are unsure of the DB2 host IP and port number, you can review this information using the Windows ipconfig command and the DB2 Control Center, respectively. Open a Windows command prompt by clicking Start-->Run and entering cmd in the Open field. Click OK.
At the command line execute the command ipconfig and record the IP address of the system. Open the DB2 Control Center by clicking Start–>Programs–>IBM DB2–>General Administration Tools–>Control Center. Select the database instance and select Setup communications from the Object Details pane or the context menu. In the Setup communications dialog, click on the Properties(2) button to review the properties for the TCP/IP protocol. Record the value for the port number. db2 get dbm cfg | find "KEEPFENCED"
This Quick Start Guide assumes that the default configuration values are used during the installation as they are generally appropriate in most environments. 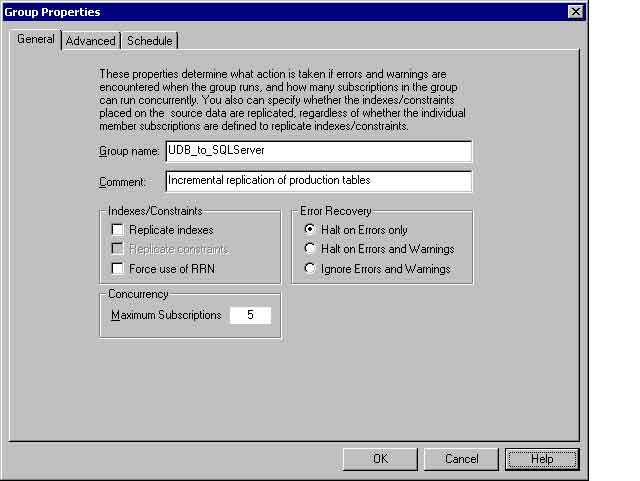 Make a note of the optional email notification values for your environment if you want to specify these values during installation. 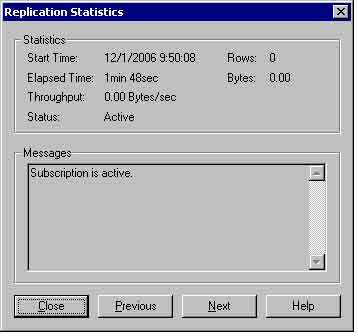 You can leave these fields blank during the installation and configure the email notification feature at a later time. Refer to the SQDR Plus for DB2 Universal Database User's Guide for more information about these parameters. You run the SQDR Plus installer directly from the Windows computer on which you want to install SQDR Plus. Using the link provided in the confirmation e-mail, download the SQDR Plus for UDB software and extract the .zip file in a temporary folder. Copy the entire "GUI_Installer" folder to the computer on which you want to run the installation. Log on to the computer as a user with Administrator rights, and change to the directory where you copied the GUI_Installer folder. Execute the setup (setup.bat) batch file to begin the installation. 1. Locate the Command Prompt under Accessories, right-click and select "Run as Administrator" from the drop down list. 2. You will be prompted with an elevation prompt, respond OK.
3. In the Command Prompt window, navigate to the SQDR Plus installer and type "setup.bat". Click Next to proceed with the installation process after the Welcome dialog appears. Click Next once more to proceed to the DB2 connection information dialog. Select the database in which to install SQDR Plus, and provide the host IP, port, and DB2 User ID as determined in steps 3 and 4 of the pre-installation tasks. After you review the License Agreement for using the software, click Next to accept the terms and proceed with the installation. Accept all of the default values in the installer dialogs, except for those values gathered in the prior section if you want to configure the email notification feature. After you review the installation summary information, click Install to begin the installation phase, and click Next as the Wizard displays panes that show the task results. If an error is encountered during the installation, back up to the prior installation pane and correct the error. When the installation completes, select Capture Agent Log from the SQDR Plus for DB2 UDB program group and review the log file for errors. From the SQDR Plus for DB2 UDB program group, select Capture Agent Maintenance. For best results with SQDR, StarQuest recommends using the StarSQL ODBC driver for access to DB2. However, SQDR does support the use of the IBM DB2 Connect ODBC driver. The StarSQL ODBC driver is now installed automatically when you install SQDR; this step is no longer needed. At the end of the installation, the installer prompts you to start the ODBC Administrator and/or the SQDR Configuration. Launch the ODBC Administrator to create the StarSQL ODBC DSNs as described in step 9a2 below. Select the option to launch the Configuration after the installation completes. In addition, license the StarQuest products as described in the next topic. In the first dialog of the StarSQL Data Source Wizard, enter a name for the data source and, optionally, a description. Click Next to step through the Wizard panes, specifying the database connectivity parameter values obtained by the DB2 Administrator in step 5. In the first pane of the Configuration Wizard, select the SQL Server data source that you configured (in step 8) to access SQDR's control database and enter the SQL Server credentials for a user who is a member of the sysadmin server role. Click Next to proceed. In the License Configuration dialog, verify that you have the three license keys entered (with PROD IDs "SQ", "DR", and "U+) and click OK. See step 7b if you have not entered license keys for using the evaluation software.